This Gothic Revival tabernacle was built on a raised sandstone foundation. All of the building materials, including the lumber, rock, lime and brick are local to the valley. The total cost of the building was $65,000. 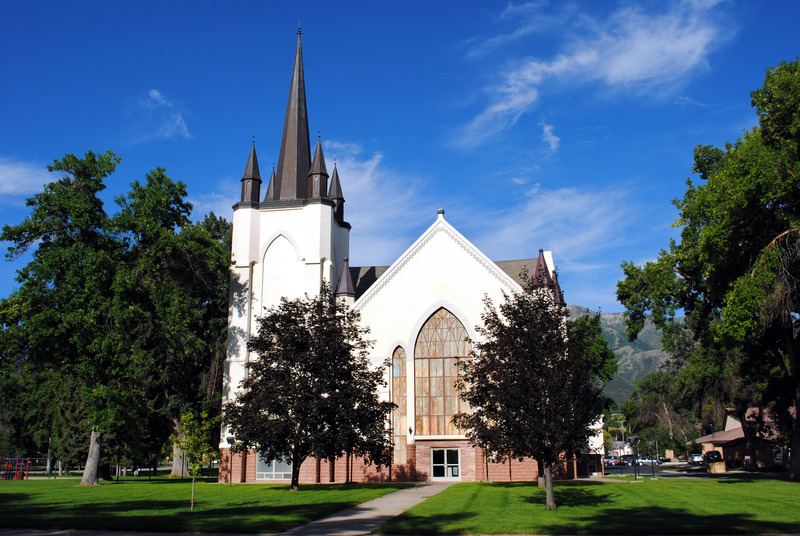 Dedication of the building took place on June 28, 1908 by Anthon H Lund of the First Presidency. The original red brick was painted white in the 1950’s. After a fire in 1959, the tower was lowered and the central spire reduced in size. The building was listed on the National Register in 1979, the same year it was sold by the Church to the city of Wellsville. 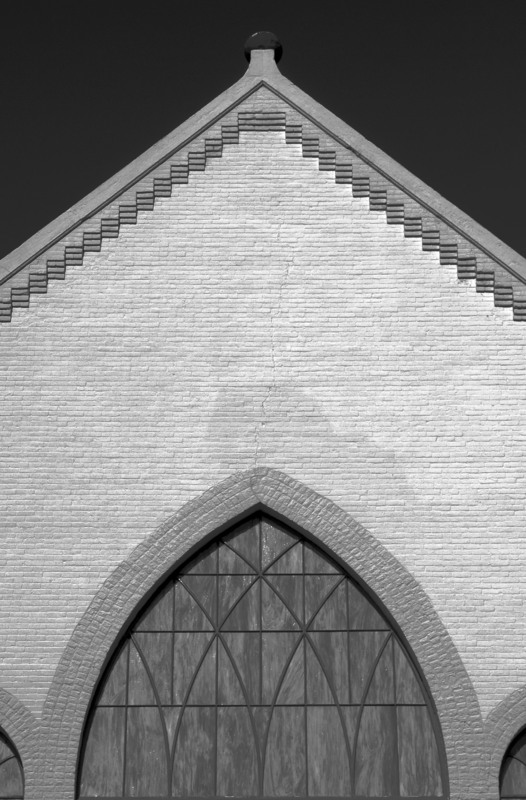 (At the lower right of the photo you can see part of the new meetinghouse that was built in the 1970’s to replace this building when it was sold. The two buildings share the same city block.) Unable to financially support the building, by 1994 the City turned it over to a private group of concerned citizens, now called the Wellsville Foundation. Under their ownership, the building has been used for weddings, theater productions, family reunions and lectures. In 2010 the building was closed to the public because of structural signs of failure with the roof. The cost to repair the still-closed building is $150,000, which the Foundation has been seeking to raise since this past August. If the Foundation can raise the money, the building will again be opened to community and public use. For more information, here is an informative article on the fundraising effort.